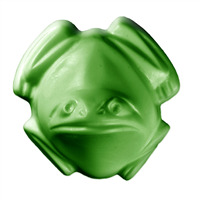 The Musical Frogs Guest Soap Mold has two different harmonious designs. 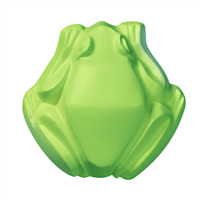 One mold is of a frog squatting and strumming a guitar and the other is a frog squatting and clapping to the rhythm. COMMENTS: Good quailty plastic mold! Very cute! 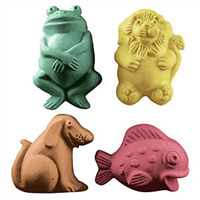 COMMENTS: These are much cuter than expected and the mold is sturdy. I am having to pop them in the freezer for 15 minutes, after the soaps harden in order for them to release. Which is why I am giving it 4 stars instead of 5. 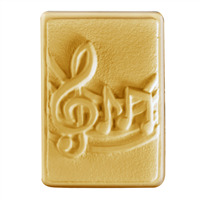 The mold makes a nice guest size bar, yet does not use a lot of product. 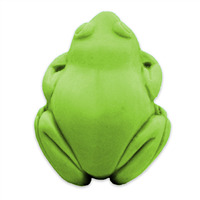 I am using them in my business, which has a frog theme, as a give-away with purchase.